Ever heard of the flavor green? That’s right! We don’t just wear green for St. Patrick’s Day, we eat it too! When considering your meals or snacks for the day, think about how you can incorporate all kinds of nutritious green vegetables. Think along the lines of seasoned kale chips and ants on a log. If you want to do as the Irish do, indulge with a split pea soup! Before going to bed on the 16th, ask your kids to help you set a leprechaun trap using a variety of baskets, laundry hampers, or boxes. Sprinkle in some gold coins or rainbow themed treats to attract the leprechaun to the trap, but keep in mind, leprechauns are quick on their feet! By the time you all wake up the gold may be gone, but instead you may find that a little present was left behind. Brighten up your St. Patrick’s Day with arts and crafts! Head over to your local craft store to pick up a variety of paints, paintbrushes, drawing tools, markers, and stickers to design the perfect rainbow. Pick a surface or use paper and let the imagination run free. Alternatively, if you want to make 3D art then feel free to combine frosting with food coloring to add pops of color to your St. Patrick’s Day sweets! March 14 marks the Second Thursday Contra Dance event at the Silver Spring Civic Building. Spend the night listening and dancing to the sound of traditional Irish music. Tina Eck and Keith Carr, with guest fiddler Graham DeZarn will surely have you and your family up on your feet dancing the night away. Be there by 7PM to receive a free half-hour introductory lesson. This year is the 19th Annual St. Patrick’s Day Parade at Rio Washingtonian in Gaithersburg, Maryland. 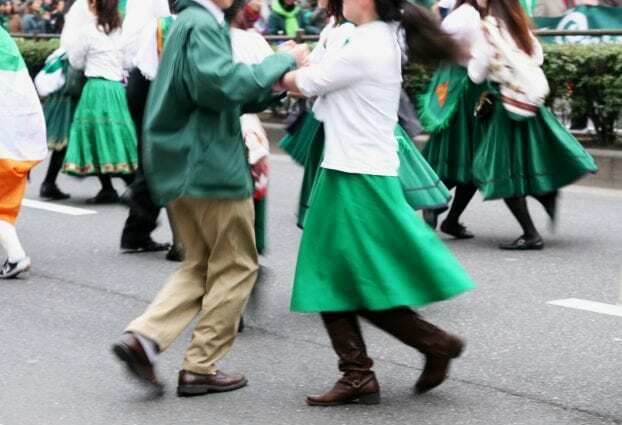 Open to all ages, embark on a traditional Irish experience and enjoy performances by Celtic dancers, bagpipe bands, school groups, clowns, and more. When the parade wraps up, grab some food and head down to the lakefront plaza for live entertainment until 2PM. If you’re looking for a full day event, then ShamrockFest in DC is your one-stop shop for experiencing Irish pride and culture. As America’s largest St. Patrick’s Day festival, expect to find live performers, games, carnival rides, tons of food and drink vendors, local craft vendors, and more. Kids under 12 enter for free and adult ticket prices start at $25, so grab them while you can!